Drill rigs are being used to drop dynamite that will blast rock beneath the soil. A $325 million fulfillment center being built by Amazon will have a dramatic impact on the city of Bessemer, Ala., when it opens in 2019. 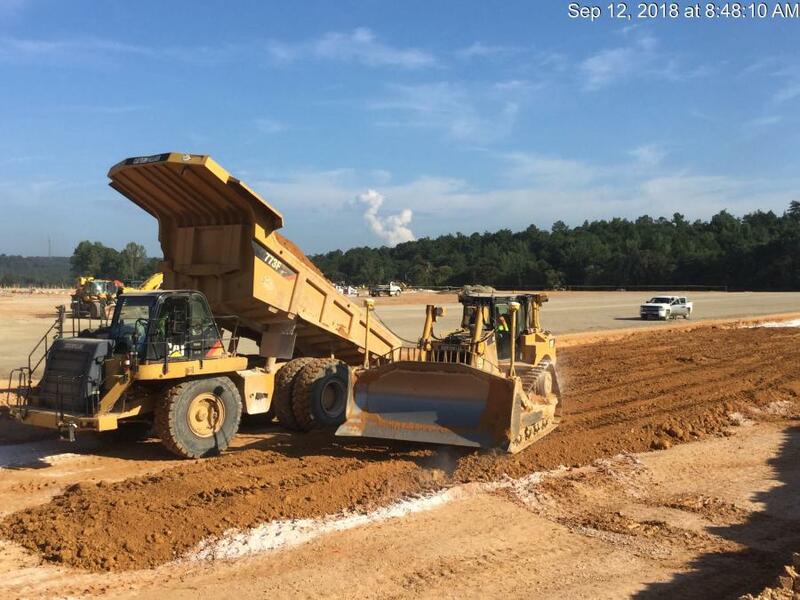 The online retail giant is constructing the 855,000-sq.-ft. building just outside of Birmingham, providing new opportunities to the community. "We are thrilled to bring our first fulfillment center to the state of Alabama, creating 1,500 full-time jobs," said Mark Stewart, Amazon's vice president of North America customer fulfillment. "Alabama has a talented workforce, and we look forward to making a positive economic impact in a state where we are committed to providing great job opportunities and an exceptional customer experience." Amazon employees will work alongside innovative technology created by Amazon Robotics, which helps them complete jobs in an efficient manner. Workers at the fulfillment center will pick, pack and ship small items such as books, toys and household goods. The Seattle, Wash.-based company, the globe's largest Internet retailer, currently operates a sortation center in Mobile, Ala.
Its latest investment is encouraging news for the entire state. "Amazon is one of the world's most dynamic companies, and we couldn't be more proud to see the company select Alabama for one of its high-tech fulfillment centers," said Gov. Kay Ivey. "This facility represents good jobs for our citizens and the beginning of a long partnership that I believe will see Amazon expand and grow in Alabama in the future." "Amazon's decision to locate a fulfillment center in Bessemer represents the largest single investment in the city's history," said Mayor Kenneth Gulley. "Bessemer was founded as an iron and steel town and suffered greatly with the downturn in the industry in the 1970s and 1980s. The closing of Pullman Standard's facility was a big blow to our city. The unemployment rate at one time hovered around the mid-30s. "Our economy has diversified since that time, but the Amazon project has the potential to bring in some 3,000 new jobs and infuse much-needed income into the pockets of Bessemer residents. In addition, the company's presence will boost our school system's budget by some $800,000 to $1 million annually. "This is a great time for them to build in the city, as it complements some of the other industries that have located here in the past eight to 10 years." Bessemer is a good fit for the project, and the investment by Amazon will spur other development opportunities, Gulley added. "Bessemer sits in a very strategic location, and has several distinct advantages for industry," he said. "We are just south of Birmingham, the state's largest city. The Birmingham-Hoover MSA in which we are located has a population of 1.14 million people. 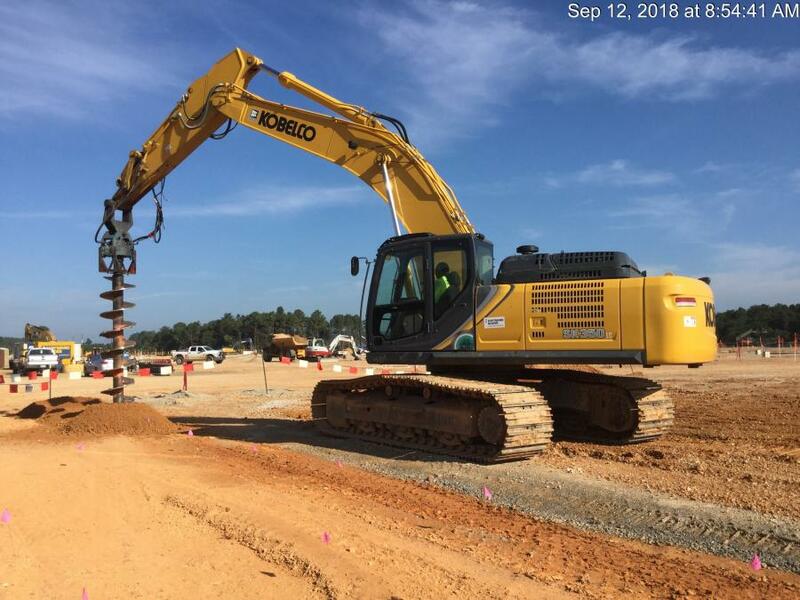 "Bessemer is within six hours driving time of several major southeastern markets, including Atlanta, Nashville, Memphis, New Orleans and Charlotte. An estimated 3.2 million people live within a 100-mile radius of Bessemer. Major interstates and roadways intersect our city, including Interstate 20/59, Interstate 459 and U.S. Highway 11. "There is plenty of land available for development, especially in proximity to these major roadways." The fulfillment center is expected to have a far-reaching impact on western Jefferson County, which has faced its share of economic challenges. According to Gulley, the Bessemer community is counting on a boost to the local economy. "We are expecting the project to have a $700 million impact on the city," he said. "We are very excited about the possibility of new jobs being created to meet the new income demands of the city. "This is a big win, and what we consider a game changer for our city. Bessemer was in contention with other cities for this site, and we are extremely excited about coming out the winner." Gulley said he is particularly proud of the educational incentives Amazon will offer young people in the area. After earning a high school diploma and working one year, they can receive $3,000 the next four years toward furthering their education, he said. He also was pleased to see the progress being made at the job site. 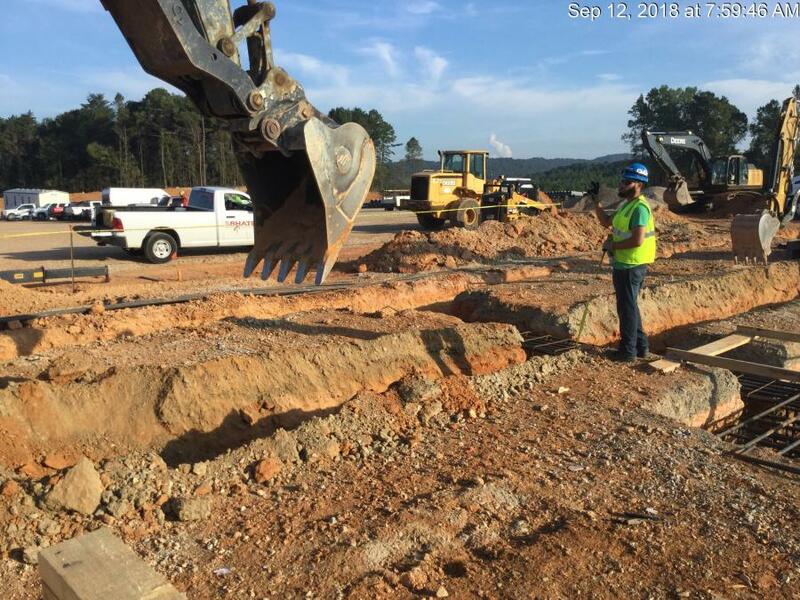 "The site sits just below the crest of the hill where Bessemer City High School is located," Gulley said. "To see the transformation at the site in such a short time has been nothing short of incredible. That was a wooded area back in early June, and now it has been completely cleared off and dirt is moving. In less than a year, it will be a facility housing at least 1,500 employees. It's an exciting time in Bessemer." Longtime U.S. Sen. Richard Shelby of Alabama is equally enthusiastic about the highly anticipated project. "Amazon's decision to build a new fulfillment center in Bessemer is evidence of our state's excellent workforce," said Shelby. "This project gives us the opportunity to partner with one of the most successful, widely recognized companies in the world to promote economic growth and development throughout Alabama. I am proud to be a part of this great announcement and am thrilled to welcome Amazon to the greater Birmingham area." "Whenever a company of Amazon's panache enters a community, things improve," said Jefferson County Commissioner David Carrington. "Not only does Amazon bring the Birmingham metro area a minimum of 1,500 good-paying jobs with full benefits, it also provides its employees a post-high school education pathway with its tuition assistance program." Construction on the fulfillment center began in June and should be completed next summer. One of the biggest challenges for crews was site work, due to the amount of unsuitable soil. Workers have been lining the top 3 ft. of the building pad, to allow for soil issues. In addition, construction teams are dealing with a very fast schedule. Each trade must be coordinated to a half-day of work to meet scheduling deadlines. Another concern was rock that has to be blasted at the site. Although it was suspected that rock could be an issue, the amount was uncertain, making planning more difficult. Once the amount is determined, crews will bring in a drill rig, drop dynamite and then use an excavator to remove the blasted material, which may later be used in some form on the project. There were no previous buildings on the job site, meaning no demolition was required. However, early on in the process, workers spent about two months cutting trees. Clearing and grubbing efforts were routine. Some areas on site have a roughly 30-ft. fill area, while others have a cut area of 50 ft.
Two 250-ton cranes are being used on the project, along with more than a dozen dozers, 20 manlifts and a variety of excavators. Materials include concrete tilt-wall panels for the main facade, conventional structural steel, rebar, concrete, asphalt and TPO membrane roofing. 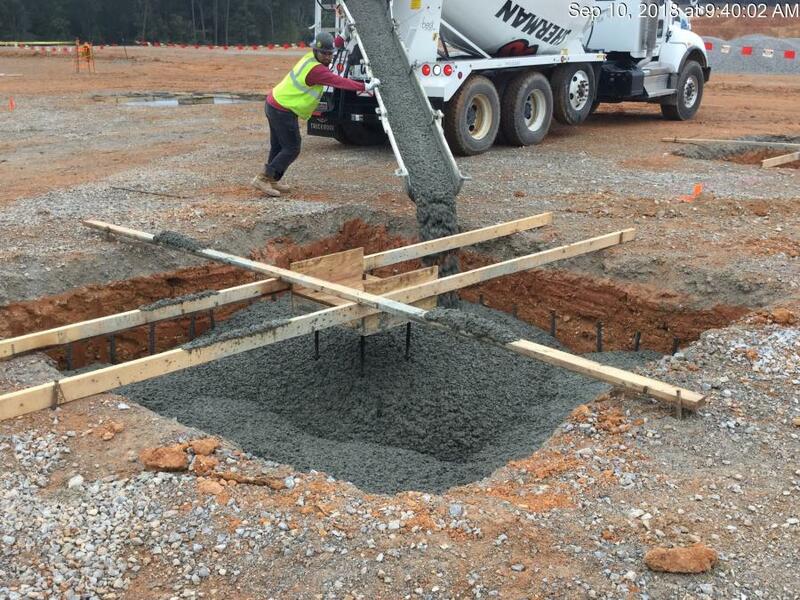 Weather has not been an issue on the project so far, and there were few delays as crews did foundation and slab work and completed the building pad. Much of the preparation work for the asphalt paving for the parking lots also is finished. Amazon worked with a number of organizations to finalize the project, including Alabama Department of Commerce; the Jefferson County Commission; the city of Bessemer and its Industrial Development Board; AIDT; the Alabama Department of Transportation; the Birmingham-Jefferson County Transit Authority; Alabama Power Co.; Spire, Cushman & Wakefield EGS Commercial Real Estate; U.S. Steel and the Birmingham Business Alliance. "Amazon's investment in our community is a big win for the Birmingham region," said Lee Smith, chairman of the Birmingham Business Alliance. "This state-of-the-art facility will be able to accommodate an expanding workforce and a changing economy as Amazon continues to prepare for its future. The Birmingham Business Alliance was pleased to lead several aspects of the project, including presentation of the site, infrastructure issues and local incentives. As in most successful projects, it was a well-coordinated community effort that led to a successful conclusion, and we're very grateful to our partners and allies for their great work on this project." The project team includes Seefried Properties and Macgregor Associates Architects, both of Atlanta, and Gray Construction of Birmingham.